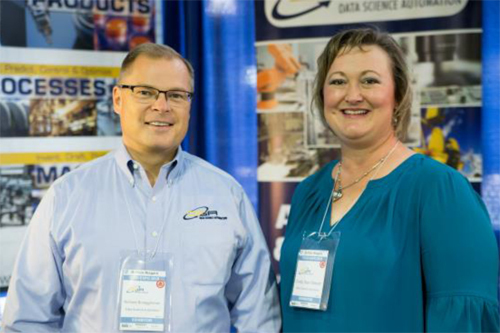 On April 17, 2018, Our Founder & CEO, Richard Brueggman, along with Cindy Starr-Stewart, Automation Systems Engineer, attended the ISA Tech EXPO. This is the longest running Automation Expo in all of New York, it is also the only one in the western half of the State. The Expo has been growing with double digit percentages for the past 5 years, and this year was even better due to the new location by the downtown waterfront. The International Society of Automation (ISA) sets the standard for those who apply engineering and technology to improve the management, safety, and cybersecurity of modern automation and control systems used across industry and critical infrastructure. For engineers, technicians, and management engaged in industrial automation, ISA is the trusted provider of standards-based foundational technical resources, driving the advancement of individual careers and the overall profession. The Expo brings the right people together to create the technologies of the future and share best practices with the next generation of automation professionals. The most rewarding part of the Expo was getting the opportunity to talk with attendees that visited our booth, and share our knowledge and experience on how we solve scientific & automation engineering problems through laboratory automation, embedded product design & development, manufacturing automation & test automation. And this was the first industry event we attended after becoming a Gold Tier Partner with Parsec Corporation. So, the attendees were very interested in how we help manufacturing operations run more effectively, using real-time data powered by TrakSYSTM. We are looking forward to next years Tech Expo!